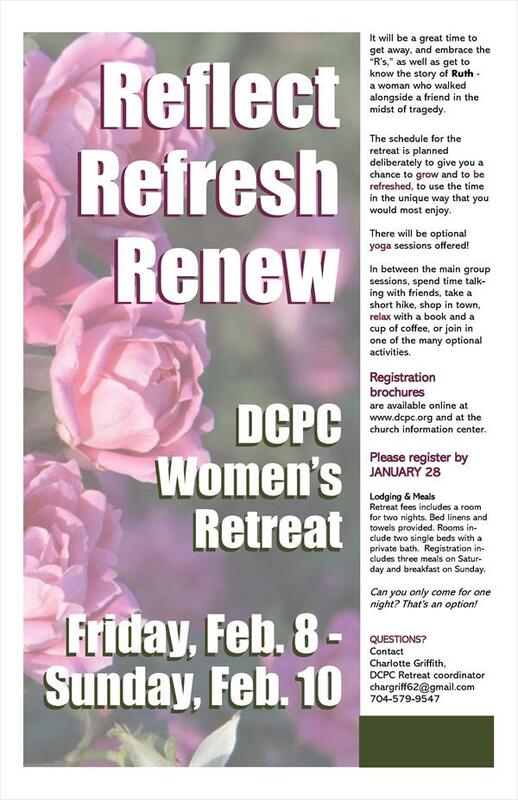 Presbyterian Women at DCPC actively engage in the life of the church through prayer, Bible study, supporting worldwide missions, working for peace and justice, and supporting the church and community activities. There are many who believe that the future of the church is built on small groups studying and worshiping together. Circles are small groups of women…and men... who meet monthly for fellowship, and Bible or book study. Membership is open to all church members. Eight groups are presently in place to provide fellowship, Christian growth, and outreach, meeting September through May of each year.